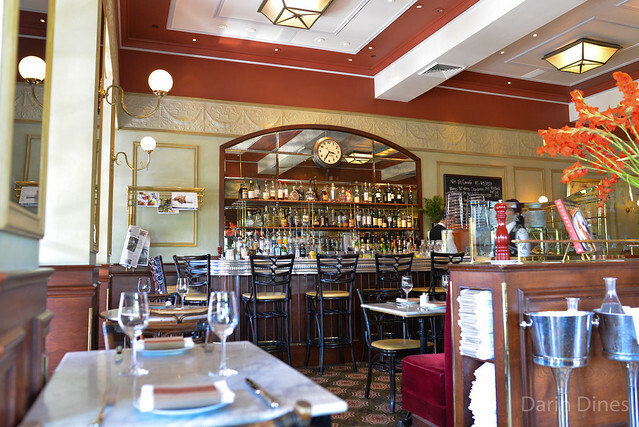 I’ve been to the Beverly Hills and Las Vegas locations of Bouchon numerous times although I had not been to Bouchon’s first location here in Yountville (until now). 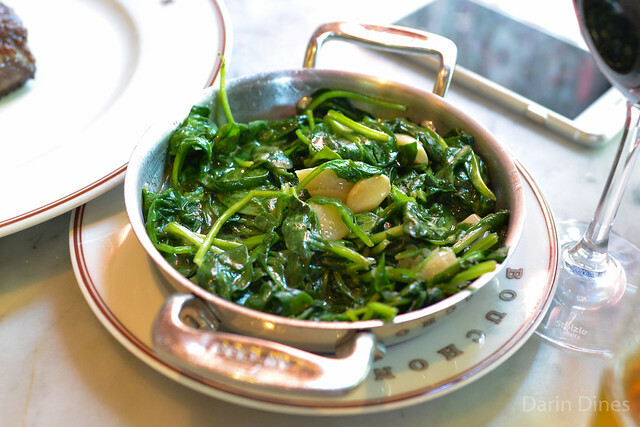 I’d like to think I’m very familiar with the cuisine here; the menu at all Bouchon locations is pretty much the same serving up Thomas Keller’s interpretation of French bistro food. 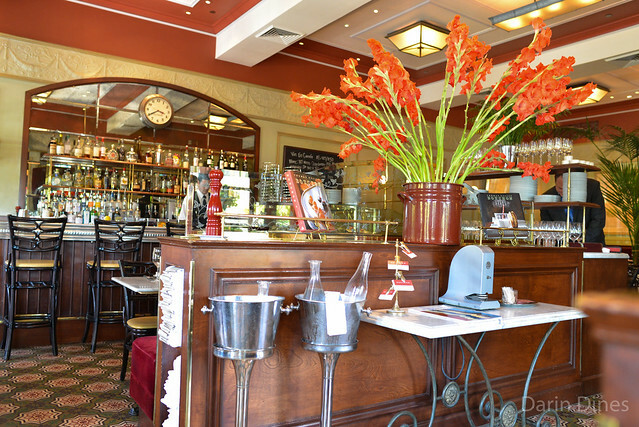 One thing that does set this location apart is that it’s garnered a Michelin star. I stopped in for a late Monday lunch after a morning of wine tasting. 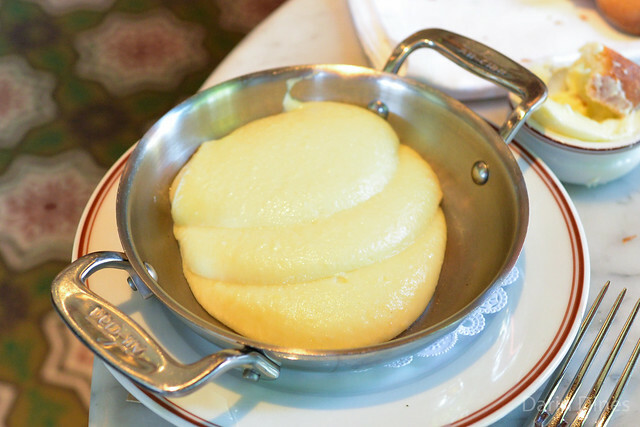 I think this was the first time I’ve had the signature epi served warm at Bouchon. 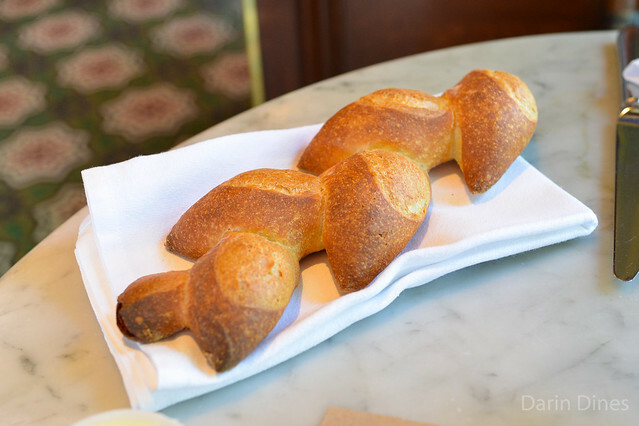 As with most breads, it was even better warm with a flaky crust and airy warm interior. 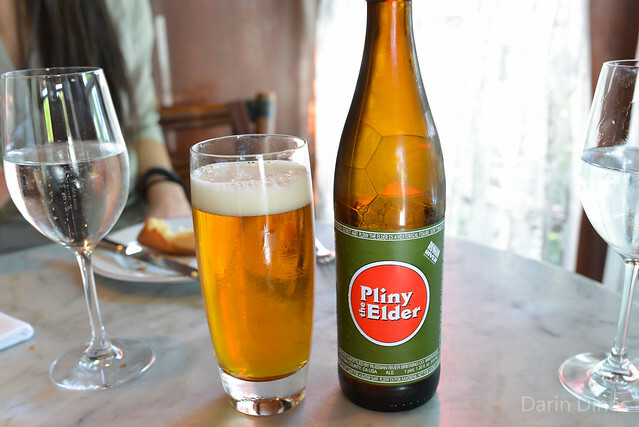 I know this is wine country but Pliny the Elder is one of my favorite beers so I had to get it. It was on the menu at The French Laundry when I was there in May; I opted not to get it at TFL and have been thinking about it ever since. 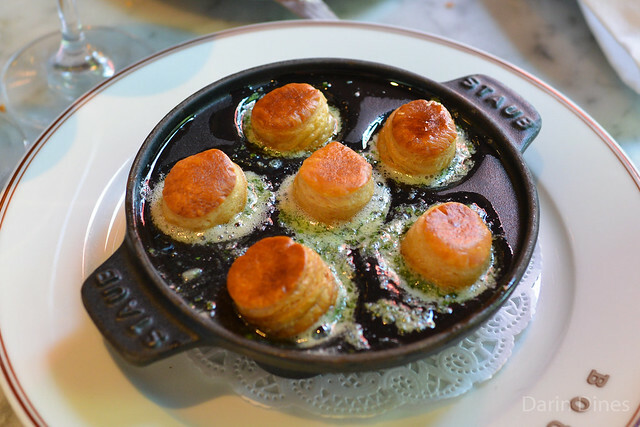 Escargot was tender with plenty of butter and parsley, perfect for dipping the bread into. Flaky puff pastry provided a light texture. We got an order of another bistro classic – steak frites. 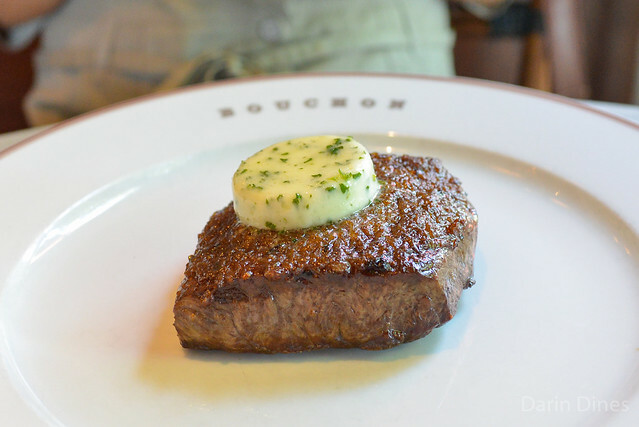 The flatiron had plenty of beefy flavor with an herb butter. This was sort of an alternate take on steak frites with the eye of the ribeye instead of flatiron. The ribeye was slightly more tender and flavorful with a really nice crusty sear. We had a variety of sides with the steaks with the highlight being the perfectly fried frites with fresh black truffle. 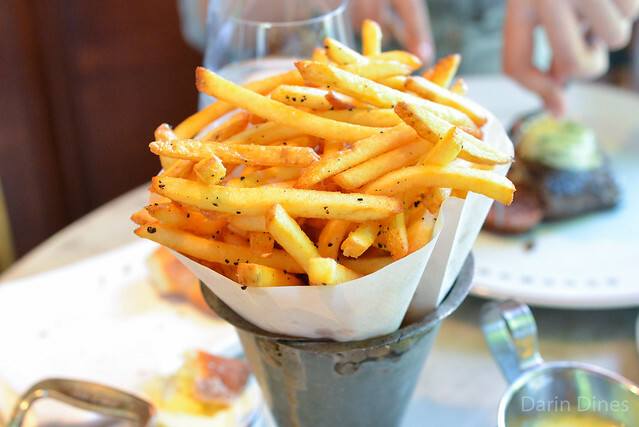 Bouchon has always had great fries but this was my first time having them truffled. The mashed potatoes were great too, rich and buttery. 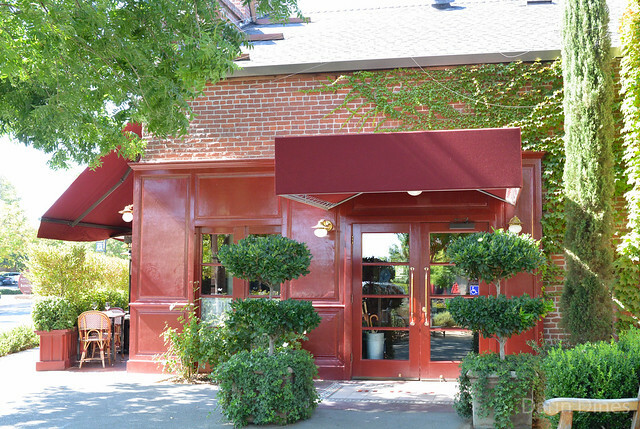 Having been to other Bouchon locations multiple times, I knew what to expect here and this Yountville location certainly delivered. 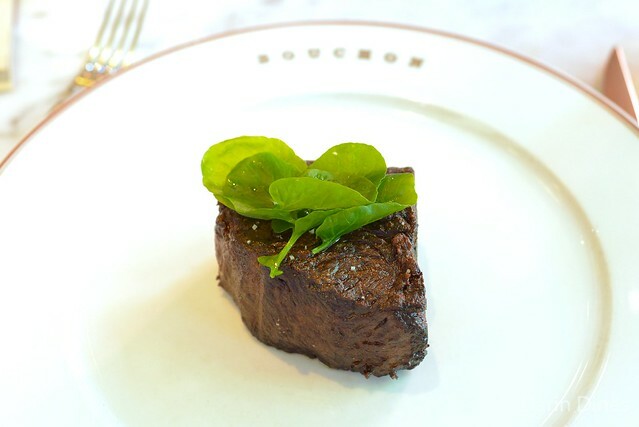 In this singular meal, I thought execution was stronger than some of my other Bouchon meals, though I won’t need to return with so many other other options in Napa Valley and a Bouchon in Los Angeles.